Any breakdown of a relationship is distressing, and we understand that you’re going through a tough time. That’s why our personalised approach makes all the difference. We endeavour to make the legal aspects as simple as possible for you and our first step is to reach a resolution without the need for Court proceedings. However, if a dispute cannot be easily resolved, we have the experience, skills and resources to act decisively on your behalf in any Court action. The firm has close links with other specialist family law firms around Australia and overseas, and we can organise the appropriate advice, representation and referrals in the event that such an issue arises in any matter. Do You Need Assistance? Please contact our office to arrange a consultation on how we can assist you with your family law matter. 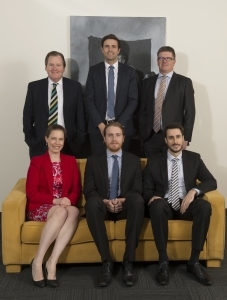 Howe Jenkin is a small, specialised family law practice situated in Adelaide's CBD. We provide commercially sensible, cost effective and timely advice when you need it most. Copyright © 2017 Howe Jenkin Family Lawyers. Level 9, 111 Gawler Place, Adelaide, South Australia, 5000.